HK Audio has introduced a brand new series of high-performance active speakers LINEAR 3 and has added two new active models to the LINEAR SUB family of subwoofers. LINEAR 3 delivers top-notch sound for bands and DJs in every scenario, offering beautifully balanced, high definition sound, impressive low-end, clear speech reproduction, and advanced DSP technology, all packaged in a strong and confident design and all made to premium standards in Germany. 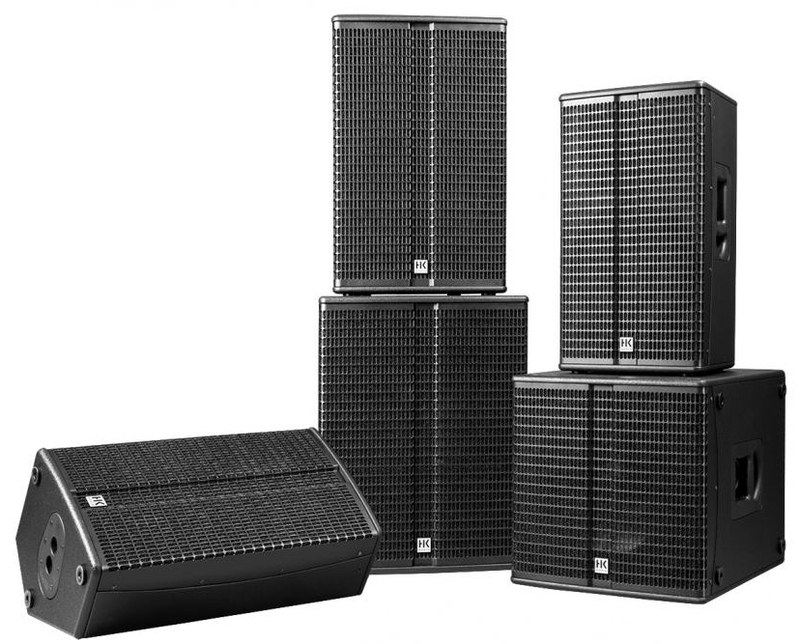 The first members of the LINEAR 3 family are the 12"/1" L3 112 FA, the 15"/1" L3 115 FA and the multipurpose 12"/1" L3 112 XA which functions superbly both as a top and as an onstage monitor. The technology behind LINEAR 3 makes it simple for performers to achieve great audio results every time, even if they have no sound engineer or a thorough pro audio knowledge themselves. Four EQ presets Bass Boost, Flat (LF), Flat (HMF) and Contour, two of which are active at any one time provide plenty of options for shaping the sound to perfectly fit the music style, venue and audience. In addition, the LINEAR 3 mid/high units offer plenty of headroom thanks to their 1,200-watt class D power amps, Intelligent Multiband Limiters ensure tonal integrity at every volume level, and precision directivity means the sound will go straight to the audience, with few unwanted reflections occurring. They are also ideal to be used in conjunction with LINEAR SUB subwoofers, including the new 15" L SUB 1500 A and the 18" L SUB 1800 A. The serious low-end punch the L SUB 1500 A and the L SUB 1800 A deliver is similarly suited to the LINEAR 5 series, and they can also be used to extend the ELEMENTS 'Base' systems. Flexible and powerful, the new subwoofers are each equipped with a stereo input, meaning they can be easily be configured in half stacks, full stacks, 2.1 setups, and in mono sub clusters. Alexander Wollenberg, HK Audio's Product Manager, said: "LINEAR 3 is the easiest way to impress your audience. Whether you're a PA system expert or prefer to focus entirely on giving your best possible performance, LINEAR 3 gives you optimal results in seconds thanks to our groundbreaking technology, a bunch of logical yet innovative design features, and made-in-Germany quality. Plus, if you need an extra dose of thumping low-end power, the new LINEAR SUB basses are the perfect add-on. LINEAR 3 offers top performance you can trust in every single time." The LINEAR 3 series and the new LINEAR SUB models are available now (with the exception of the L3 112 XA, which hits stores in fall 2017).